This new lower amp, three-speed airmover offers everything restorers need for performance and versatility, plus legendary Dri-Eaz durability and reliability. 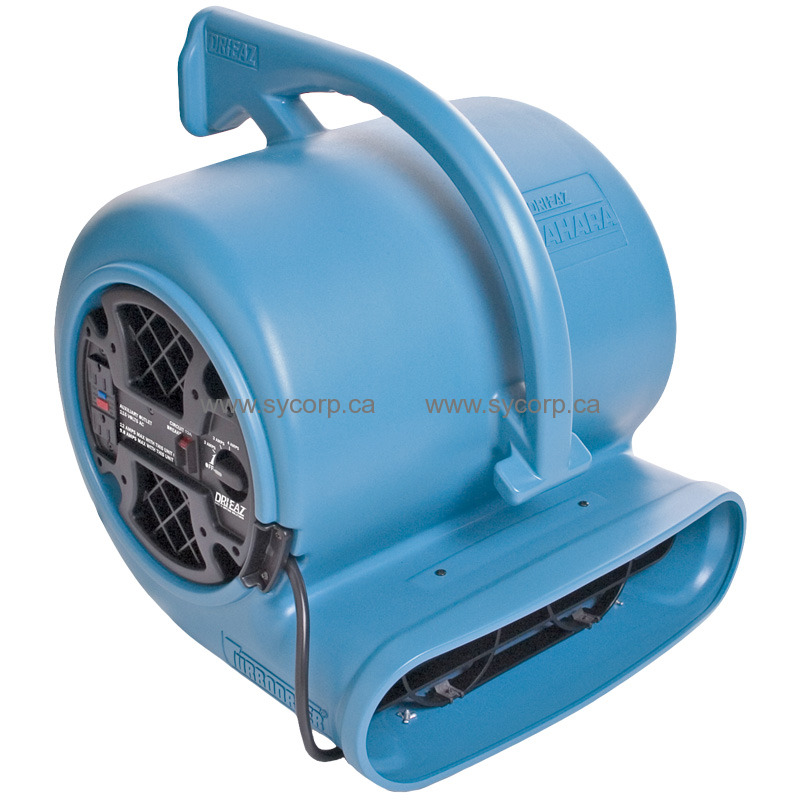 Features lower amp draw, daisy-chain capability with convenience outlet and circuit breaker, underside drying vent for drying under the airmover, quick disassembly for cleaning, easy-grip handle and stackable for storage. MICROBAN® antimicrobial protection.